We’re just three weeks away from BONES’ season 10 premiere, and there’s already been a lot said about what went down at the end of last season and what’s to come. 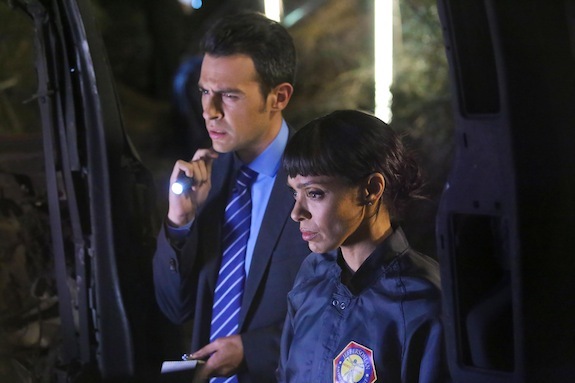 BONES is taking another crack at the Ghost Killer case on Monday, and like showrunner Stephen Nathan teased, the case will be getting wrapped up…well, sort of. Unfortunately for the team, the tension doesn’t exactly let up: the May 12th season finale — which Nathan had teased would consist of “a pretty substantial cliffhanger” that will “at least temporarily change the way all of the crimes are dealt with” — puts Booth and Brennan is a precarious situation.